Hiring the best Talent is the need of the hour. Without skilled resources, it’s very difficult to thrive in fast paced corporate world. The recruitment process for any organization cannot be well structured without a proper recruitment tool. Taleo can act as an umbrella to streamline your hiring process. Due to its recruitment capabilities, it is considered as leader in Talent Management. Being on cloud, it is easily accessible via web browser and internet connection. 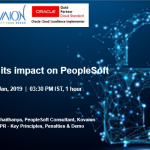 Oracle HCM suite encompasses modules for hire to retire of an employee such as recruiting, onboarding, Core HR, performance management, learning and development, succession planning and compensation management. Being highly scalable, it is suited for all organization being small sized to large. Having a modern user interface, the UI adjusts to render the optimal experience on the device. 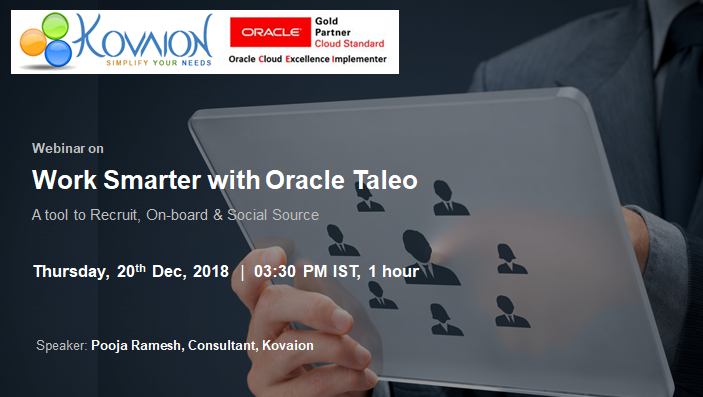 Oracle improvises Taleo continuously with its multiple releases by introducing new features. 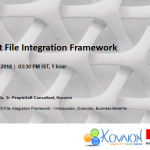 With the latest release of Taleo, multiple features are introduced like Fluid Recruiting, handshake with LinkedIn, new features on Taleo Social Sourcing, Integration with Outlook 365 etc..
Speaker(s) : Pooja M Ramesh, Consultant, Kovaion.